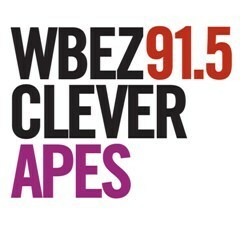 WBEZ’s science experiment, “Clever Apes” is a nano-sized show with a cosmic scope. It tells the stories of the rich scientific community of the Chicago area, its quirky characters and the fascinating, often mind-bending questions they’re out to answer. But it is not so Chicago-centric that it won't work for your town. "Clever Apes" is a self-contained 9 minute module organized around a theme and containing multiple elements including two-ways and feature stories. It is designed to fit into the "D segment" of NPR's "Morning Edition," but has the flexibility to float elsewhere as well. While there is a focus on the work of Chicago-area science, the themes of the show are broad and would likely work for all stations looking to add some science reporting to their broadcast. In 2011, Clever Apes won the AAAS Kavli Science Journalism Award for radio. Treating Parkinson's with a vibrating chair; reading the rumblings of the earth; and a hip-hop battle of cosmic proportions. How our brains age, and why some people manage to cheat death and stay sharp. Some tough science threatens an otherwise happy marriage, and some gifted students try to unravel relativity. What is disgust, and where does it come from? Host Gabriel Spitzer explores why we've evolved with this emotion and what it says about us. Believe it or not, with just two little ears, humans hear in 3-D, and Clever Apes has captured it on tape. We remember the legacy of the Tevatron, the particle collider that was shut down in September of 2011. What if the next generation of robots looks less like a humanoid, and more like a slug?